SRINAGAR, January 24: Former finance minister Syed Mohammad Altaf Bukhari has expressed deep shock and grief over the loss of lives in a tragic road accident that took place on Udhampur-Ramnagar road in Jammu region today. Expressing serious concern over an alarming increase in road accidents especially in mountainous regions of the State, Bukhari urged the authorities to go tough against the traffic violators to contain such heart wrenching mishaps. The former finance minister also referred to a research conducted by the Union Ministry of Road Transport and Highways for increasing road accidents in Jammu and Kashmir, saying that the lack of education, enforcement, engineering and emergency services have been found main reasons for the growing accidents in the state. “Despite the set standard rules and instructions for vehicle drivers about how to drive safely in mountainous regions, it has been found that the vehicle drivers are unfortunately not following the standard rules for road safeties,” he remarked. He urged the governor led administration to constitute more special checking squads especially in mountainous regions of the State to stop the increasing road accidents that lead to loss of precious lives off and on. Bukhari also demanded immediate release of ex gratia relief to the bereaved families. The former finance minister extended heartfelt condolences to the families of those who died in the tragic accident and others who sustained injuries in this mishap. 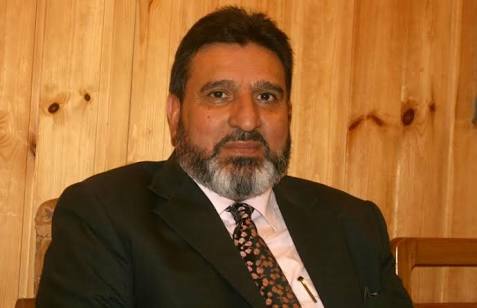 “I also pray for the eternal peace to the departed souls and speedy recovery to those who sustained injuries in this tragic road accident,” Bukhari said in his condolence message.